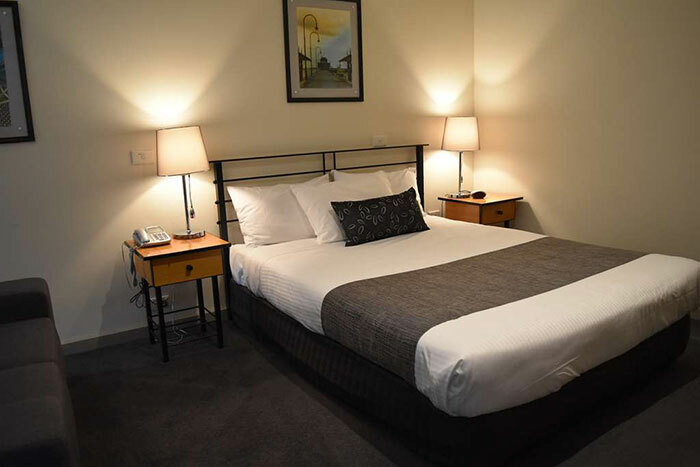 Overlander Hotel Motel offers 30 ground floor rooms, just a 3-minute drive from Shepparton city centre, 5-minute drive from the train station, and is located directly opposite the Shepparton marketplace shopping centre. Each room is air-conditioned and includes a TV, work desk, hairdryer, refrigerator, microwave (on request), iron and ironing board, ensuite, toiletries, and tea/coffee making facilities. Free Wi-Fi access and off street parking is also available. There is also a laundry and an outdoor swimming pool. Please feel free to contact management for group booking rates.